If you recently bought a new set of winter tires, or your winter tires are a few years old, other than safety, your biggest concern is probably how long will these tires last. Knowing how to get the most mileage out of your winter tires will save you money while keeping you safe no matter how tough the winter weather becomes. How many seasons or miles will I get from my winter tires? While there’s no set “life expectancy” for snow tires, many tire manufacturers estimate that you should get four seasons of wear from a set of winter tires. Tread wear on winter tires will depend heavily on how many miles you drive each month, and whether those miles are primarily on snow or ice covered roads, or if you routinely have a mix of snow and frozen dry roads. The tread will wear more quickly if the tire is running on freezing road surfaces than if they are on snow for most of the season. Low mileage drivers will get much longer use out of their winter tires than drivers who have both long winters and drive long distances. The lifespan of your tire will also be directly related to the original quality of the tire, and the level of care they’re given. You should change out your winter tires for your summer, or all season tires when temperatures are regularly above 42 degrees. Leaving winter tires on when temperatures get warmer will increase wear since the compounds that allow a winter tire to stay flexible in freezing temps also wear faster on warm roads. High heat, freezing temperatures and exposure to light are the biggest contributors to any tire’s aging process. 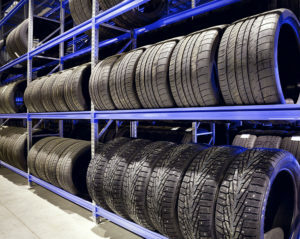 We recommend storing your tires indoors, where they are protected from temperature fluctuations. Be sure to clean the tires thoroughly and ensure they are dry. An airtight tire storage bag, is best and believe it or not, heavy duty black trash bags can be a good tire storage solution. Remove as much air possible from the bag and securely close the bag. Ideally, your tires are cool and dry while being stored, so avoid storing tires near a water heater, or radiator. Is it Time for New Winter Tires? Age and tread wear will eventually be the indicators of when it’s time to begin shopping for a set of new winter tires. Unlike an all season or summer tire, winter tires need to have a much deeper tread to be effective and safe. The first thing you should do when pulling out your winter tires for the first time each season is check tread depth. If your tires have a tread depth of 5/32 or lower, it’s time for a new set. There will not be enough tread remaining to get you through the winter. Winter tire tread patterns and siping are designed to bite into and evacuate snow and slush so that extra tread depth will provide your best traction on the road. If you don’t have a tire tread gauge handy, most modern snow tires have built in wear indicators. Usually, they’re molded into the bottom of a tire’s tread grooves and indicate that a tire needs to be replaced when the indicator is flush with the adjacent ribs. You should also always check your tires for visible damage that may indicate that it’s time for a new set. Keep an eye out for deep cracks in the rubber, sidewall damage and replace all four tires if you find significant damage. 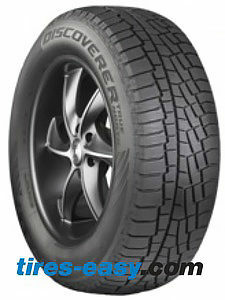 Tires-Easy has been a trusted supplier of quality, new tires online to customers since 2004. We pride ourselves in having the best selection of quality new tires and an extensive knowledge center to aid our customers in the tire buying process. Check out our selection of winter tires and stay safe on the road this winter! Finding your tires just got easier at tires-easy.com.